Product #1238 | SKU C21-8401-211 | 0.0 (no ratings yet) Thanks for your rating! 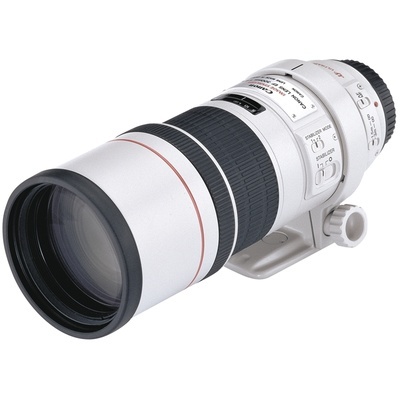 High quality compact L-series telephoto lens with image stabilizer. Excellent optics and superb handling in a compact package with Image Stabilizer. The IS allows safe hand-holding at shutter speeds up to two stops slower than otherwise possible, making it even more useful in low light levels. It’s less than half the weight of the 300mm f/2.8L IS, and it focuses to an incredibly close 4.9 feet (1.5m), filling the frame with a subject the size of a postcard. Like all of Canon’s fixed focal length L-series lenses above 135mm, it’s compatible with Canon’s EF Extenders 1.4x II and 2x II.